Congrats to the very first Kawasaki Ninja H2 Owner! 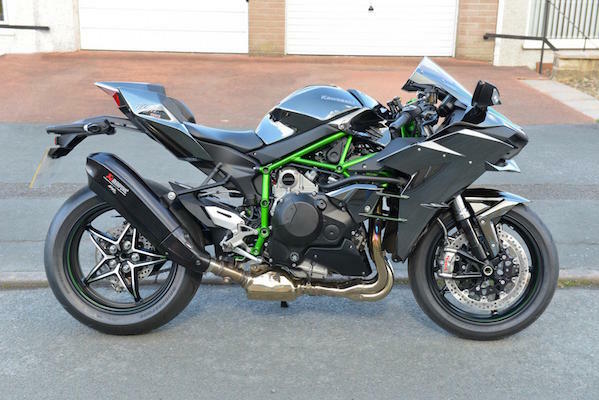 Congrats to BobC for being the very first member on our forum to receive his Kawasaki Ninja H2! Check out what he had to say after receiving the Ninja H2 and going for his first ride! I collected my bike from GT Motorcycles yesterday morning and after lunch went for my first proper ride. Last edited by administrator; 05-21-2015 at 02:59 PM. I wonder if there will be a thread posted like this for the first person to wad one up. That gigantic license plate should keep it pointed into the wind. :) Bike looks good, not sure I like the look of the Akro though. Me neither, UNTIL I went to the dealer site and looked at that bazooka oem can. Surreal. Last edited by RBZ10R; 03-27-2015 at 03:53 AM.